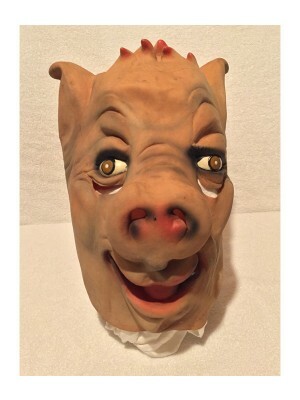 Band / stage-worn pig mask, used during the 'N Sync / Slipknot routine. Mask is (obviously) worn, and shows signs of storage, etc. 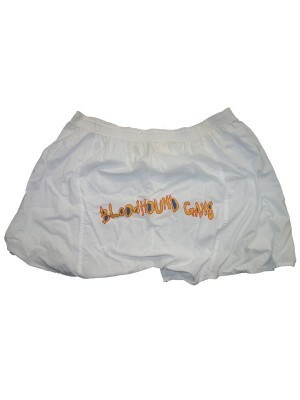 Rare bit of true Bloodhound Gang memorabilia! .. Sticker brought back from Europe. Measures approximately 2.75"x4". .. Extremely limited promotional boxer shorts from "Use Your Fingers." 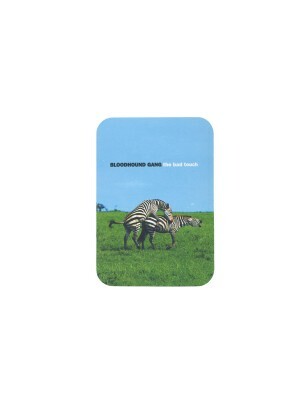 These sat in a box in the production studio while the band recorded "One Fierce Beer Coaster." They've been washed to see how they would hold up, but never worn. 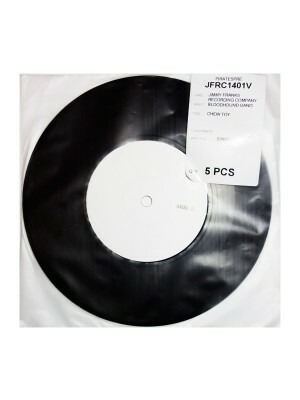 Hanes brand, s..
Test pressing from the production of the "Chew Toy" 7" record. 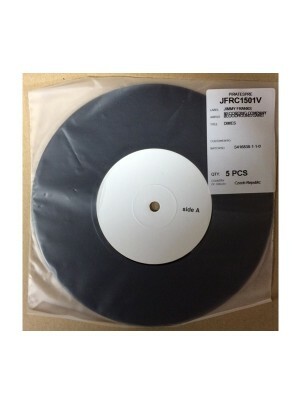 ..
Test pressing from the production of the "Dimes" 7" record. ..